Chennai : At a time when entire DMK is protesting across Tamil Nadu over the Cauvery issue, support to them is coming from an entirely unexpected source – Puducherry Lt Governor Kiran Bedi. She has also written a letter to the Prime Minister urging him to immediately constitute the setting up of the Cauvery Management Board as directed by the Supreme Court as timely release of water was essential for then farmers of the union territory of Puducherry. 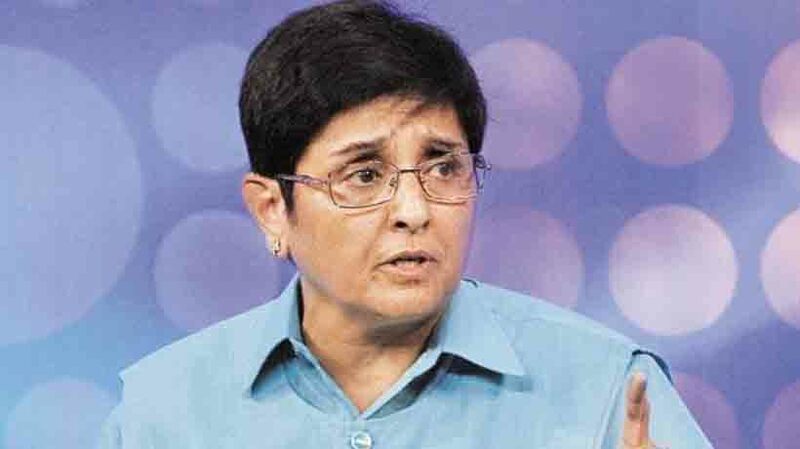 Kiran Bedi said that she had also directed the administration of Puducherry to file an interlocutory petition before the Supreme Court to press for the demand of the UT to constitute the CMB forthwith. There is only a difference of opinion between the political administration and the administrator’s office over the issue is only whether to file a contempt petition or not. Meanwhile in Tamil Nadu, the DMK has stepped up the ante over the Cauvery issue by staging state-wide protests that it said will only intensify over the next few days. The DMK has also called for a state-wide bandh on April 5 when the prime minister Narendra Modi is expected to visit the state to participate in an event. On Monday morning the DMK cadres and leaders hit the street in several places across Tamil Nadu to protest against the central government for its failure to constitute the Cauvery Management Board as ordered by the Supreme Court. The DMK members protested in several places in Chennai as well, including at arterial Anna Salai stretch in Saidapet here affecting traffic flow on the week beginning. The DMK and its have called for a shutdown strike on April 5 over the Cauvery issue. The DMK on Sunday said in a statement issued here that the Central government had failed to set up the CMB as per an apex court order of February 16. The six-week deadline ended March-end. The parties also decided to organise a ‘Securing Cauvery Rights March’ from the Cauvery Delta region in the state to Raj Bhavan here in which leaders of all political parties and the public would participate. According to the statement, black flags would be shown to Prime Minister Narendra Modi whenever he comes to Tamil Nadu for not setting up the CMB.